Last Sunday, the 2018 National Sports Collectors Convention came to an end. But I’m still going. This show must go on!!! On Friday night I attended my fourth and final minor league game of the summer. 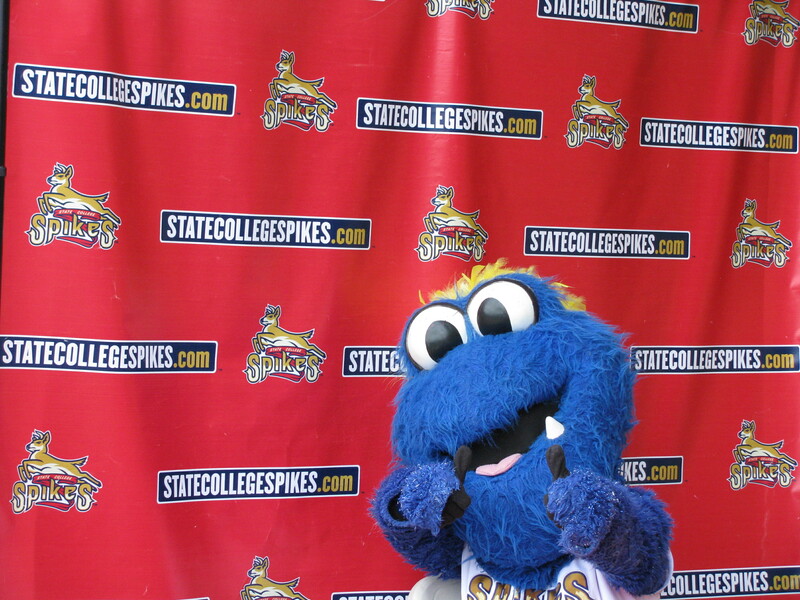 The game took place in State College, PA between the Spikes and the West Virginia Black Bears. The Spikes went on to lose 3-2. 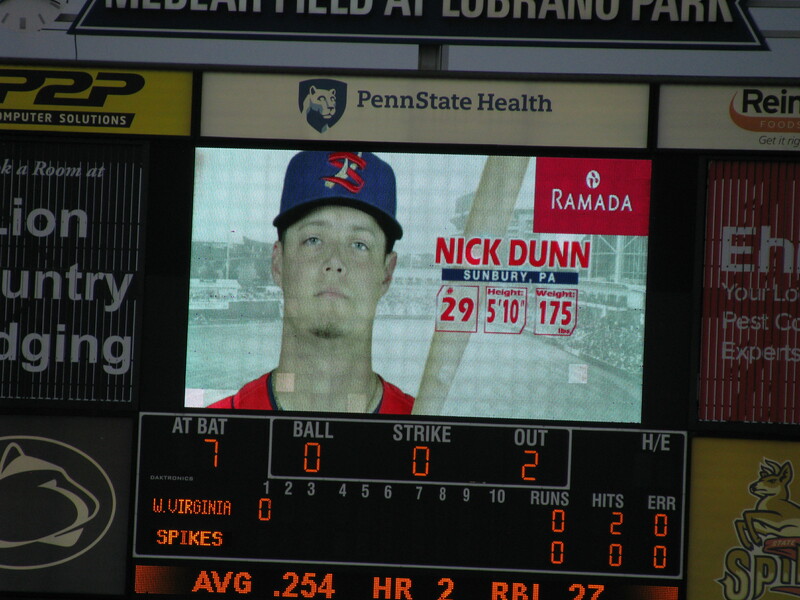 A local Shikellamy High School graduate, Nick Dunn, was recently drafted by the Cardinals and plays for the Spikes right now. I got to see him score. 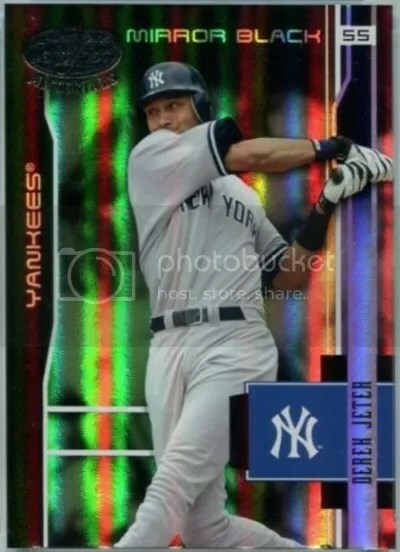 I suspect he’ll get his first cards in Bowman Draft later this year. There were two reasons why I wanted to attend this game. 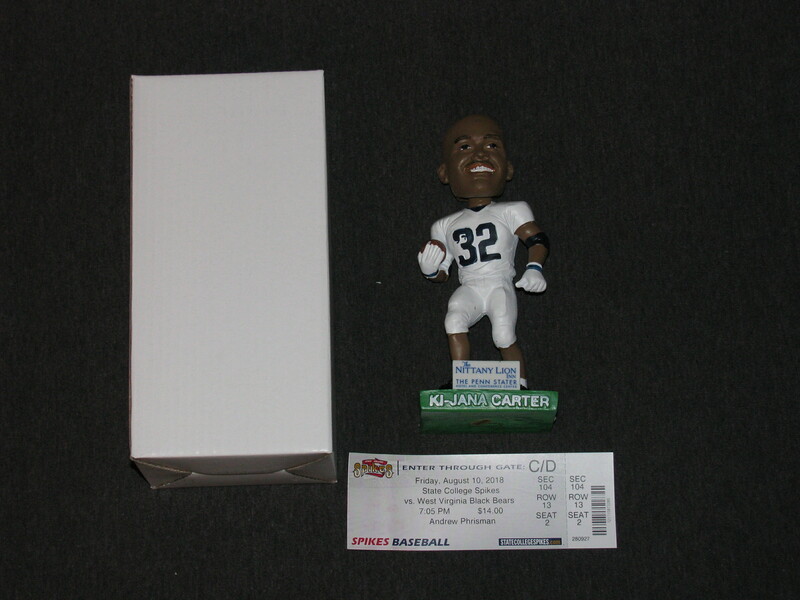 The main objective was to be one of the first 1,000 fans through the gate so I could obtain my Ki-Jana Carter bobblehead. The former Penn State running back and 1994 All-American was also in attendance. Before the game started he was down on the field giving interviews, throwing out the first pitch, and handing out additional bobbleheads to fans. 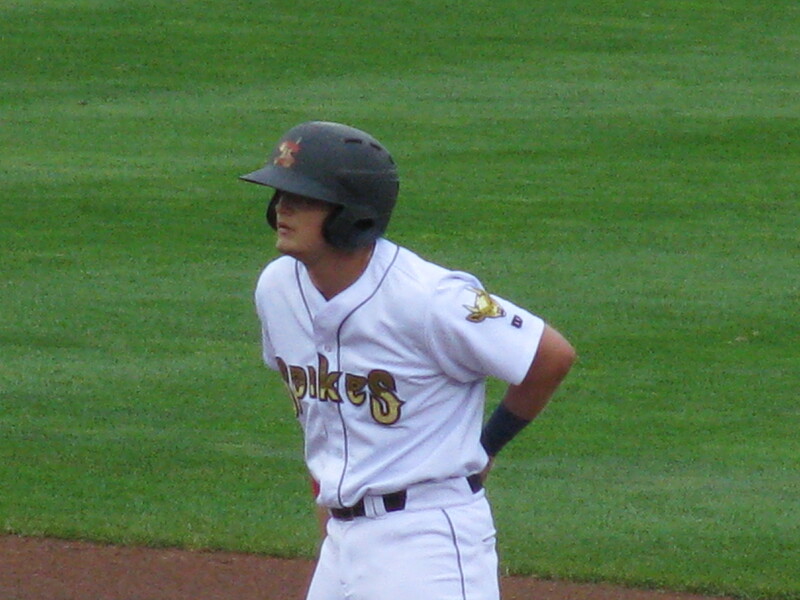 Shortly after the game began, the Spikes had a table setup for him down the first base line. Once he started signing, the line moved fairly quickly. 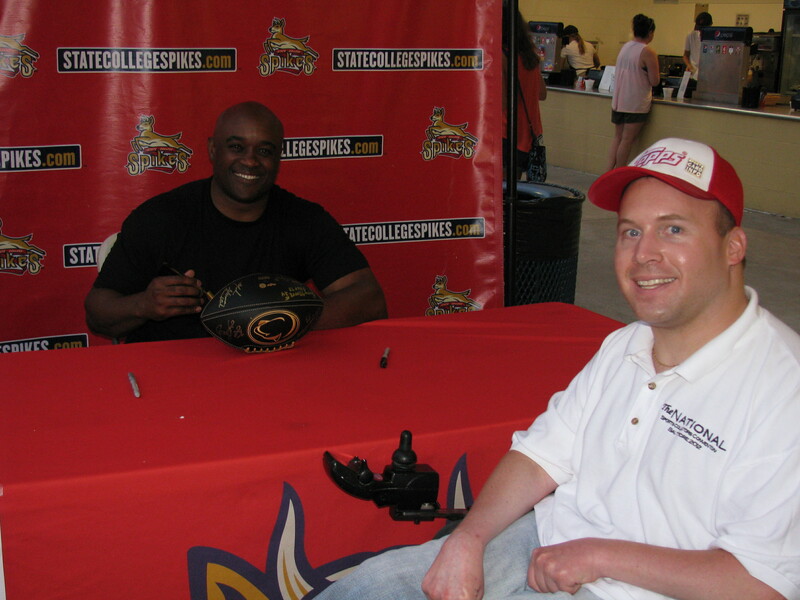 I got him to autograph my Rawlings black/gold Penn State football. Everyone was allowed (1) autograph and (1) photo. This was the first time I had ever participated in an autograph signing during a baseball game. It went very smoothly. Ki-Jana Carter was the Round #1 Pick #1 in the 1995 NFL Draft. He went on to play for the Bengals, Redskins, Packers, and Saints. For the price of a ticket, I got a bobblehead, autograph, and photo. Not too bad. This contest is for a Luis Severino 2018 Topps Series 2 Major League Material Black Parallel Relic #’ed/99. Good luck!!! This contest will end Friday, July 13, 2018 @ 8:00 p.m. EST.